Hi everyone! Wow.. my brain was on overload this morning lying in bed. I simply knew it was time to get up and begin my day! I even got up before my honey...(he's an EARLY BIRD). Hey...remember yesterday how I was rattlin' on about my dream retreat house? Well.. 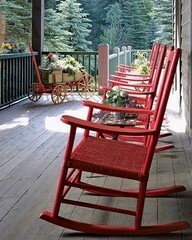 I found a front porch that I thought would be perfect!! Wouldn't this be so much fun to sit... rock... and stitch!!! Listen to the birds and have your early morning coffee? Read a book? Ahhh... I can just smell the fresh air!! WAHHHHHHHHHHHHHHH..... I need some rich person to come into my life and turn me loose!!!! 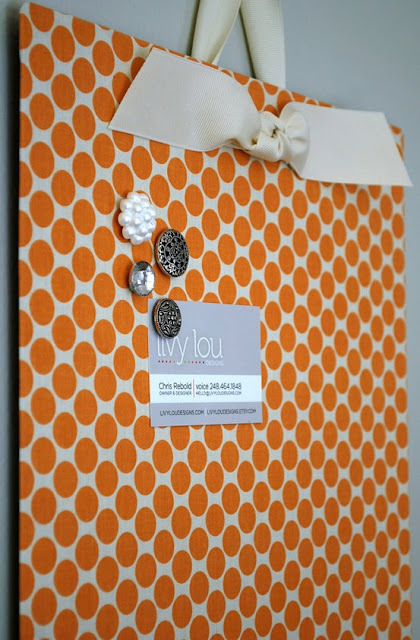 Isn't this a cute magnetic board? I'm thinking this is simply adorable. It's a cookie sheet from the dollar store ($1.00 - that's all it cost!!) and they covered it with fabric... added the large bow and then glued some magnets to the back of beautiful buttons! How easy is that? 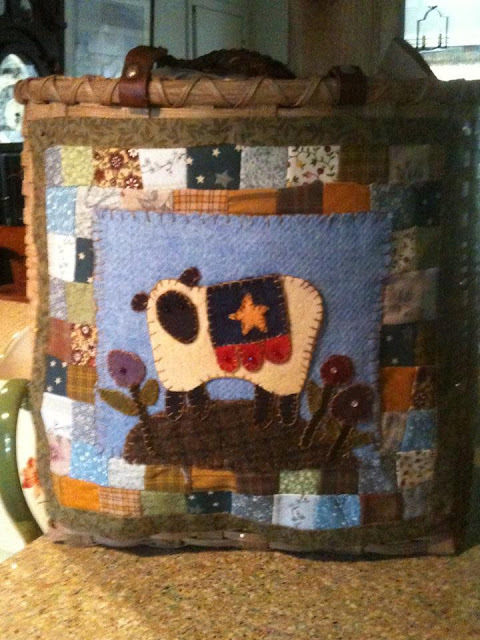 So cute in the kitchen, kids room... or how about your sewing room????? OMG!!!! 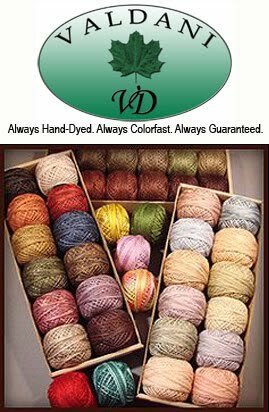 It could be your design board... You could even hang a row of them... say 3 - each one with a different color fabric (or wool). They can be art hanging on your walls or your "inspiration" boards!! 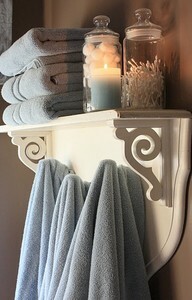 I SIMPLY love these style of shelves. Here's what you do... look for old dressers... you know... the ones with the HIGH backs. The dresser itself can be worthless...all we want is the top/back portion. cut off the top - trim down the dresser top to be a smaller size shelf - turn it upside down - add corbels (you can buy them unfinished), paint, add hanger to the back... and you are in business. LOVE, LOVE, LOVE it. The hooks...they can be from anything...!! They don't have to be expensive either. PLUS... you can change it out... add a dowel and slip it through the curls in the corbel and now you can hang a quilt or towels from it!! 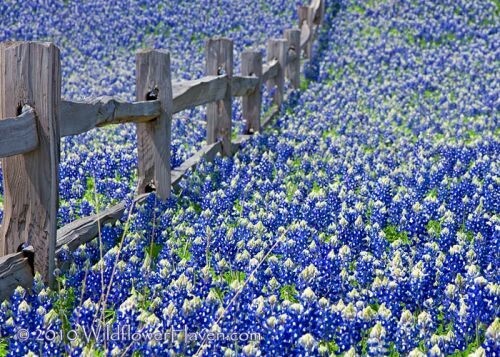 These are the Texas Blue Bonnets we saw last month on our trip to Austin! They are simply unbelievable. Thank you God for such beauty!! Look what one of my wool students designed! She's new to class and was so inspired by stitching she went home and added this sweet design to one of her handmade baskets! Isn't he adorable? Love him Suzy!!! 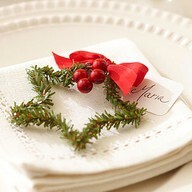 One of the Pinterest friends was in the Christmas spirit and pinned TONS of great ideas this morning. I do remember pinning this to my site a long time ago... but I wanted to share it with you. Isn't this so sweet. 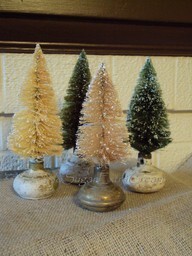 It's so simple to make... it's just the greenery that you find on trees and wreaths. So.. .do you happen to have some at home that look like they are on their last leg? Here's what you can do with them. These are sweet placement tags. But... how cute would this be on your packages? To make it easier to get the star shape (uniform...) draw or print a star onto paper. Then as you are bending your greenery... follow the printed shape. So much easier than trying to figure out where to bend for each star point! Then we have bottle brush trees. I simply ADORE them! Look how they've put them into the doorknobs !! Those little tiny bases they made them with don't work very sturdy at keeping them standing up (without toppling over...). They can be a bit top heavy and before you know it... your entire collection has fallen over (can you tell I'm speaking from experience here...) Find some handles in the antique or selvage stores. Be sure they sit nice and level. If you can find them with a hole already in the handle...that's the best. If not... drill a hole down inside and jam the tree down in it... (with a spot of glue). There you go... wonderful new bases. I've added doorknobs to my "Antique" phone list. (I keep a list of things to look for - in antique shops - on my phone... since I cannot remember everything!) I'm on the hunt!! Here's our "Feel Good" photo of the day. Isn't this so sweet! 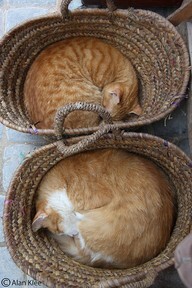 Kitties love baskets, paper boxes and paper bags...don't they? Sound asleep... all cuddly and warm! Not a bad way to live...don't you think? Tonight we are going to dinner with Vicky and Larry...trying a yummy restaurant in St. Augustine - where they may have their wedding reception. I can't remember the name... but I'll post you on how it turns out!!! Have a super Friday!! I'm going to ride my bike today (first time...!) Pray for me!